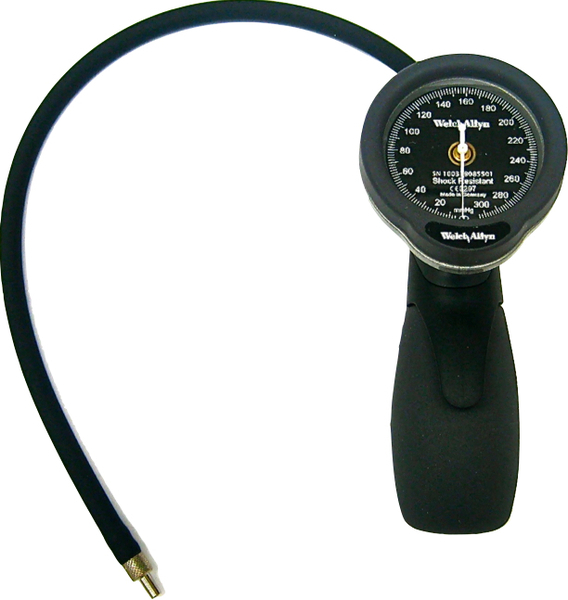 The DS400 is a reliable, sturdy handheld sphygmomanometer that has a 10 year warranty on the calibration. The grip is ambidextrous and very comfortable, and the trigger release is easy to use and gives you good control over the deflation rate. It can inflate all of our cuffs except those designed for rapid cuff inflation. It can also be used with the MV10 Cuff Selector and the RD2 Rapid Cuff Deflator.